Our informal sailboat races provide a chance for everyone to improve their sailing ability and to compete in a friendly environment. After each race we gather on the boats in the marina or raft up for social hour, so be sure to make time to hang around. 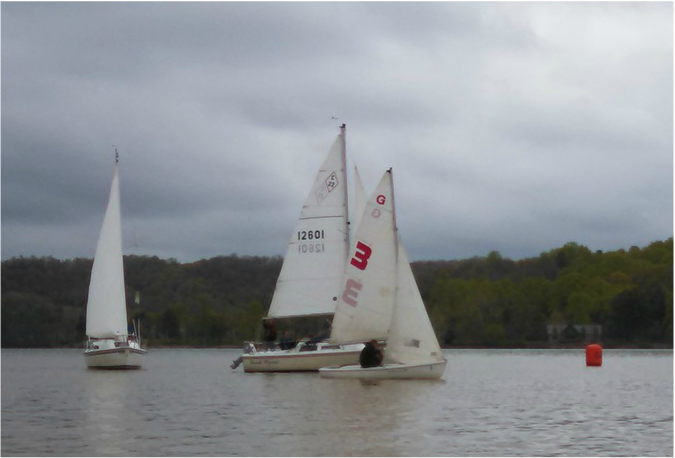 The races are open to all sailboat classes and the Portsmouth Yardstick handicap system is used to correct finish times for relative boat performance. 2018 Racing Schedule consists of 4 race days in the Spring season and 4 in the Fall season. View the schedule on our Calendar page. **Please note: if you are unable to run RC on the date you have signed up, it is your responsibility to find someone else to cover that day!